The Street models share the same features as the small diameter models, plus feature a vacuum advance. The Street Pro-Billet Distributors are the perfect choice for powerful engines that see plenty of street time. This canister provides improved economy and an accurate mechanical advance lets you dial-in an advance curve to match your driving needs. 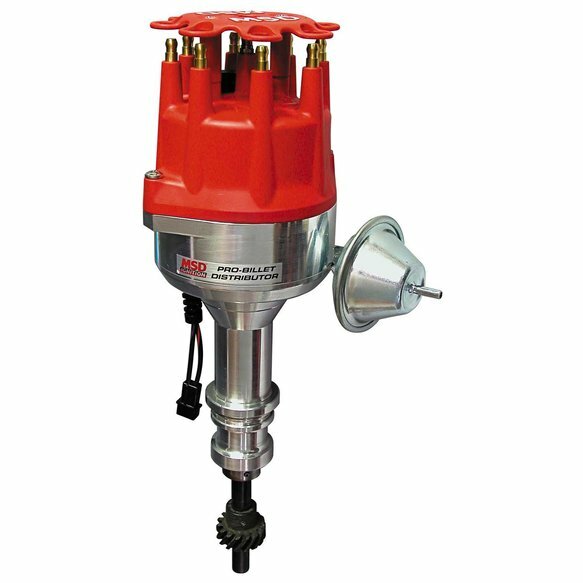 A magnetic pick-up produces accurate trigger signals that remain stable throughout the entire rpm range of your engine and is completely maintenance-free.